Why Don’t My USPTO Ownership and Assignment Search Results Match Up? Searchers of the public record are sometimes confused by differences between o wnership and assignment records at the U.S. Patent and Trademark Office (USPTO). Oftentimes, the results from each of these searches do not appear to correspond. This post will help alleviate some of the confusion by defining “ownership” and “assignment,” clarifying when and how the USPTO databases are updated and, finally, providing an example that illustrates common differences in the records and how they might be reconciled. “Ownership” confers an exclusive “right to use” to the mark or the patent. Patent protection is fixed at 20 years; trademark protection is renewable every 10 years. Ownership refers to the current owner of a registered trademark, a granted patent, a pending trademark or a pending patent application. Ownership of a patent excludes others from legally making, using, offering for sale, selling or importing the same invention into the United States. 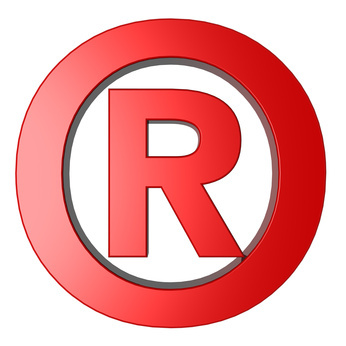 Ownership of a trademark registered on the Principal Register ordinarily confers an exclusive right to use the mark in connection with the goods or services listed on the registration and permits the U.S. Customs and Border Protection service to block imports bearing infringing marks. Intellectual property (IP) is considered personal property – and, as such, rights to IP can be assigned. Below are the assignment conveyances that will result in the automatic updating to patent and trademark ownership at the USPTO. Accordingly, if filers want the ownership information in the USPTO records to be updated, they must check one of the above as the nature of conveyance on the electronic cover sheet for electronic filings. Selecting “other” conveyance on the electronic cover sheet will update patent ownership upon recordation, but will not update trademark ownership. In each of the above cases, a written request to update ownership information must be filed and USPTO personnel will then review the assignment records and update the database manually. The written request should include information regarding the proper order of the multiple transfers so that the correct chain of title may be determined and the ownership record updated accordingly in the trademark database. Assignment is defined as a transfer by one party to another party of all or part of its interest and rights to IP. According to 15 U.S.C. §1060(a) and 35 U.S.C. §261, a registered mark, a mark pending registration, a patent and patent application (or any interest therein) are assignable. Assignments show the chain of title, whereas ownership lists the last recorded owner. Previous owners and assignees only appear on the assignment database. There are two conveyances types for filing trademark assignments: “assignment of the entire interest and the goodwill” and “assignment of an undivided part of assignor’s interest”. The entire interest and the goodwill mean 100% of the trademark (inherent rights, title and ownership interest). In order to assign partial (<100%) trademark interest and goodwill, either check the “assignment of an undivided part of assignor’s interest” or check “other” and indicate “assignor assigns x percent”. Selecting “other” will not update trademark ownership. This disclaimer appears on the electronic filing system. Patents offer a general “assignment” conveyance. When “assignment” is selected, 100% of the patent will be assigned. Partial assignments occur in cases where there are multiple inventors. For example, one inventor who owns 40% may assign their whole, undivided percentage to another entity. He or she must specify the percentage assigned in the “other” box, in the same way as for trademarks; “assignor assigns 40 percent”. The 40% is the bundle of rights associated with their ownership interest. Selecting “other” updates the patent ownership upon recordation. Name change amendments occur when the ownership is unchanged, but there is merely a change in the owner’s name. The USPTO recommends trademark or patent owners to record the name change with the Assignment Recordation Branch. The security interest conveyance occurs when one company takes a security interest in the IP of another company. The interest is released upon loan satisfaction. While security interests and security agreements do not transfer title, they are still recorded for the sake of third parties who wish to know about matters concerning the property. It is often confusing when a party is listed as the last assignee in a USPTO assignment chain of title, yet they are not listed as the current intellectual property owner. It is helpful to remember that a party does not need to be the owner in order to be linked to the property as an assignor or assignee in a USPTO recorded assignment. As a hypothetical example, let’s say Party A is the owner of a patent and assigned a security interest to Party B (as assignee). Party B (as assignor) released the interest back to Party A (as assignee) and Party A later mortgaged their rights to Party C, a new assignee. While neither assignment affected ownership, an assignment search on either Party B or Party C would reveal this patent as a valid result. An ownership search for either Party B or Party C would not find this patent. Conversely, not all changes or updates to the ownership record are reflected in the assignment chain of title. Patents and trademarks may lack corresponding assignments because not all IP assignments are recorded with the USPTO. It is at the owner’s discretion to file an assignment. As you can see, there are many reasons why USPTO assignment and ownership records may not match up. Understanding which types of filings affect ownership and how the USPTO updates its databases will make it easier for you to resolve the differences between these records.